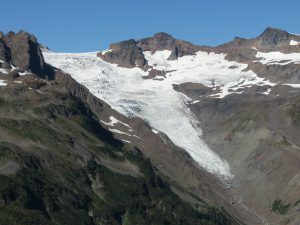 This glacier spilling down the northeast side of Mount Baker starts at a fairly low elevation at the divide between the Mazama and Park Glacier, below the Dorr Steamfield. You can see the steam from this area in 2006 at right. 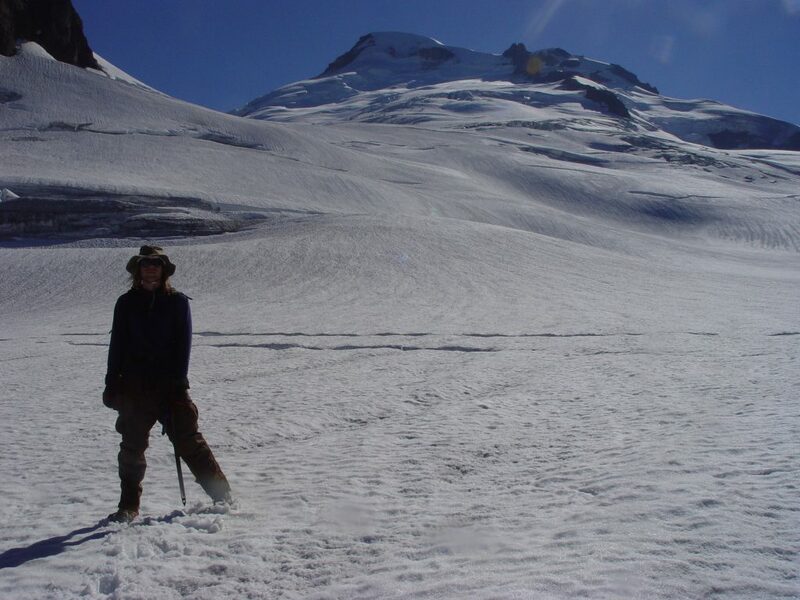 That is the most steam I have seen in the 23 years visiting this glacier. It is not easily accessible and is seldom visited. 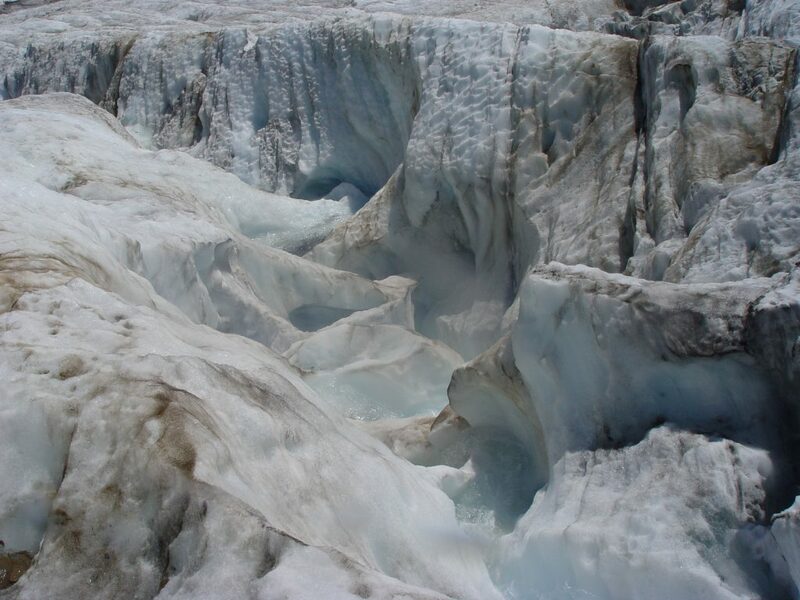 Since 1984 the number of crevasses has declined substantially. 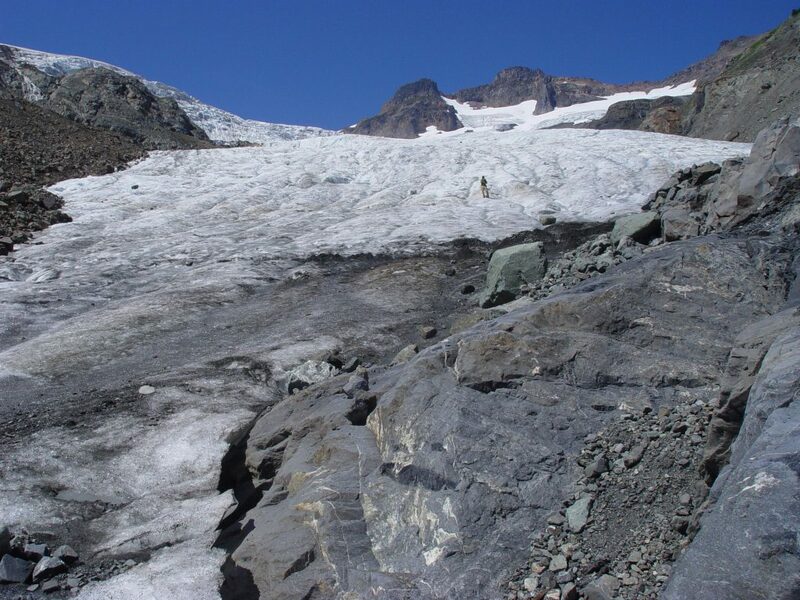 The glacier has also retreated 490 m since 1984. In 1984 it was still advancing slowly, 1985 ended the advance. 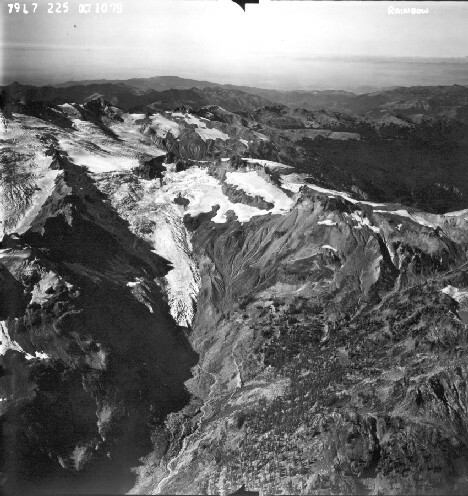 Until after 2000 the glacier was connected to the Portals Glacier, on its north side. In 2004 the two separated. 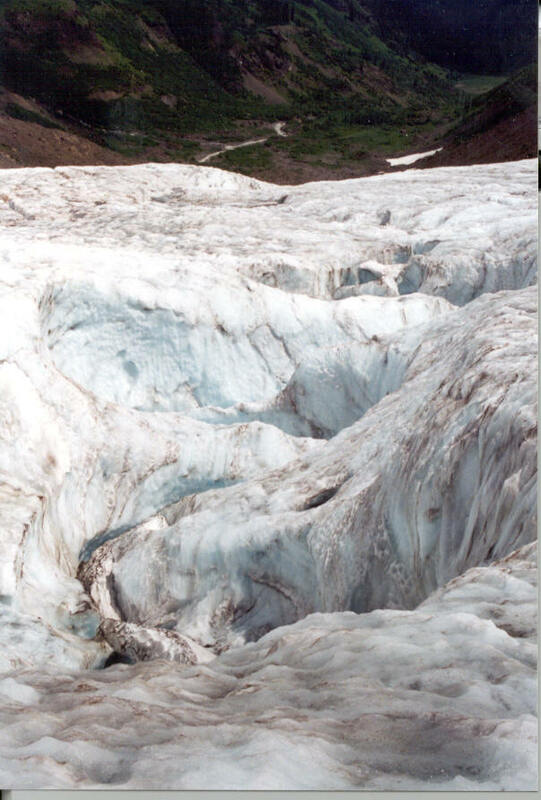 This glacier has a unique Canyon on it formed by a flowing stream on its surface. 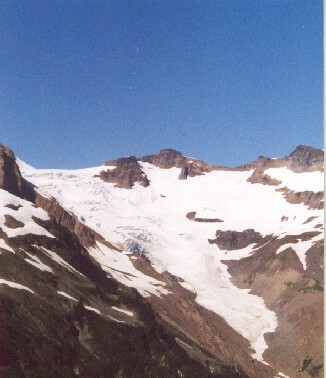 Grand Canyon of the Rainbow Glacier 1995 above and 2004 below.